Being of college age, I tend to miss out on the new fads going around for younger kids but I found a news article yesterday that informed me of silly bandz. 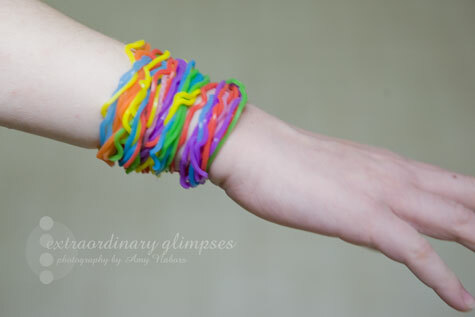 In case you too have missed out on this one, silly bandz happen to be shaped rubber bands which are worn as bracelets. 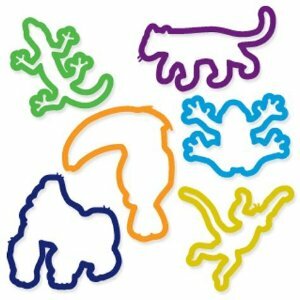 The website describes them thus: “These colorful Animal Rubber Bands (Silly Bandz) are made of silicone and die molded in many different fun shapes. 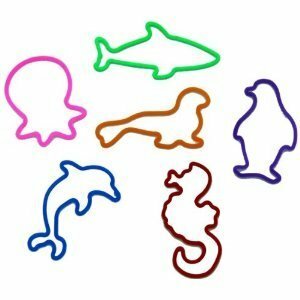 These rubber bands return to their original shape when you take them off.” They come in a great variety of shapes and colors, including things like food, animal, and sports shapes. They come in packages of 24 bands, six different shapes in various colors. Kids can then trade them with their friends or wear a ton of them. 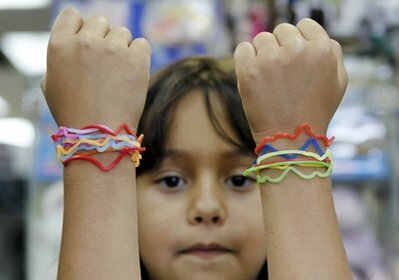 The article I found was Silly Bandz braclet craze: School Ban Over Distraction. Apparently kids are distracted by playing with the bracelets. They also get into fights over them, making trades, or wanting to undo trades. This reminds me of my elementary school days and Pogs! Fun for about a few weeks and they either get damaged, lost, or banned from school and are then no longer fun. 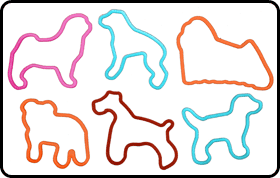 I believe that silly bandz are the original item that took off (but I am not exactly sure) because there are a ton of other companies that now make these. 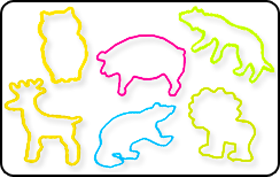 Six years ago I bought some animal rubber shapes that are exactly what they are selling now, but they were only advertised as rubber bands and that is how I used them. 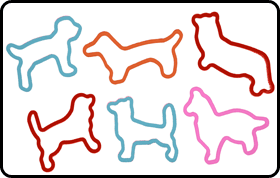 In any event, I think that the silly bandz are the best looking shapes. If you are looking for these types of bracelets, in various brands, check Amazon or Wackyshapes.com. Thank you for your post.I have never know befor about this silly bandz story.Thank again. Nice article. 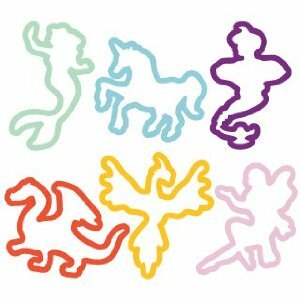 It’s really cool to see the rare silly bandz, especially the phoenix. 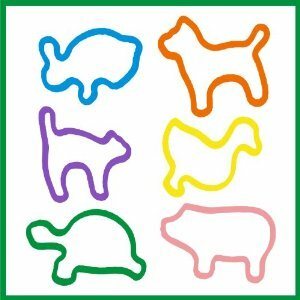 I hope there will be a rabbit, chinchilla, and a guinea pig silly bandz.